Gdańsk is a paradise for the eager backpacker. Put simply, this is a city with highly significant historic buildings, some grim war reminders, quirky markets, unusual activities, fascinating museums and an eclectic mix of good bars by night. For the backpacker, here are some truly cool hostels to stay in to ensure you don’t overspend and thus can enjoy what is one of Europe’s most underrated cities. Hostel Cycle On is an excellent and popular hostel just across the bridge from the Długi Targ in Gdańsk, with a bicycle theme to it. Bikes are available for hire, the hostel has free Wi-Fi over two floors, and breakfast is included in the price. 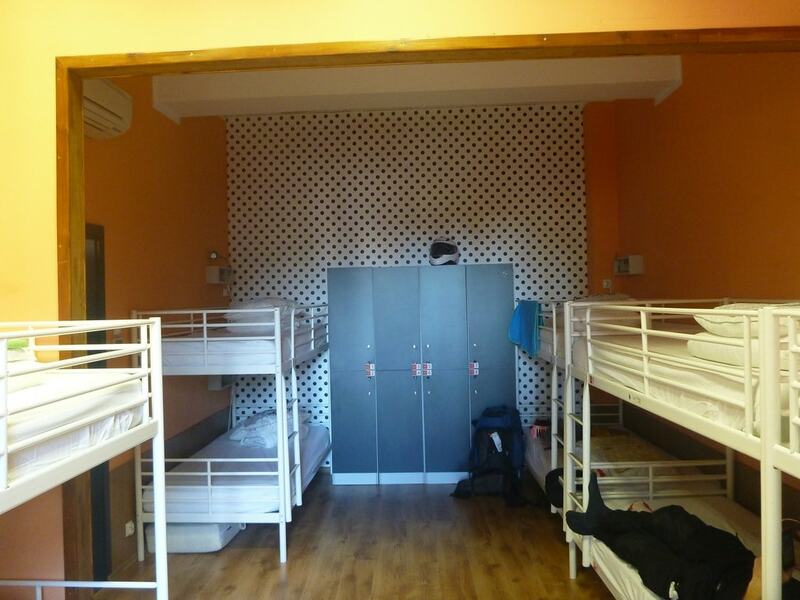 The hostel is run by local guys Piotr and Pawel and has a friendly staff who speak Polish, English and Ukrainian. The hostel is on a quiet street yet attracts sociable outgoing backpackers, meaning a good night out in the bars of Gdańsk is never far away. The name suggests you can make new friends here, and this hostel is a welcoming joint housed in a terraced building down by the famous Crane and harbour. The top-floor lounge at the 4 Friends Hostel is a place to read books, take advantage of the free Wi-Fi, use the kitchen and meet new friends. From the windows, you get a great view over Gdańsk harbour. The hostel has very cosy and tight dorms, clean bathrooms and welcoming staff. If you want to escape the really touristic part of the Old Town of Gdańsk, but yet still feel like you are staying in the ‘Old Town’, then this is the perfect option. The Old Town Hostel is actually situated across the water, in the Dolne Miasto (lower part of town). It’s a cool hostel with colourful dorm rooms, a shared kitchen and equipped with everything you could expect from a hostel – laundry, Wi-Fi, a breakfast buffet and free tea and coffee. There are also bicycle rentals available, and the location is about 10-15 minutes’ walk from the Old Town and 2 km from Gdańsk Główny train station. With its cottage-style exterior, this place is one for the architecture lover. Green ivy grows on the side of the hostel, which sits by a river and has slanted tiles on the roof. The name can be confusing, however, as Hostel Przy Targu Rybnym actually translates as ‘Hostel by the Fish Market’, which tells a little about the venue’s history. Location-wise it’s fantastic for exploring the city, as it sits close to the market square (Długi Targ), the long street (Ulica Długa) and the harbour. The hostel has private and shared rooms, as well as WiFi, coffee and tea, lockers and a kitchen. 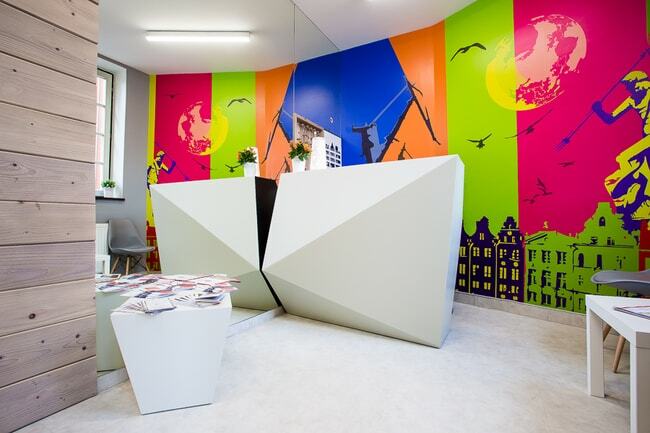 This hostel takes its name from the fact that you are not just visiting Gdańsk here – Gdańsk is merely one of Poland’s Baltic Coast Tri-City (Trojmiasto). In other words, there are three cities in one to visit here – the other two are Sopot and Gdynia, all connected by train and all special and unique in their own way. This hostel therefore is a great place if you want to explore all three in a short space of time, as it is very close to Gdańsk Główny (the main train station) and thus you can easily hop on a train and do a day trip to Sopot or Gdynia. The hostel itself occupies a few floors and has lots of rooms. There is a pool table, two kitchens and some common areas; however, Wi-Fi is hit and miss and doesn’t work in every room. It’s still a good cheap option. For a slice of luxury while still keeping within the sociable hostel scene, Grand Hostel is a cool option in the Polish seaside city. Cosy, clean rooms decorated mostly in bright white allow for a relaxing and comfortable stay here in an ideal location down near the harbour past the Old Town. The hostel has free WiFi and hot drinks plus a range of room sizes to suit everyone. Gdańsk really has opened up to backpackers over the last few years, but the Moon Hostel group is now over ten years old and was one of the originals. It has artistic and colourful drawings on its walls, a pool table, a large and tidy kitchen and well-maintained comfortable rooms. There are cool common rooms, too, and some nice dorms on the upper floors, loft-style. It is a chain of hostels in Poland, and many travellers use the same company when touring other cities such as Poznań and Warsaw.